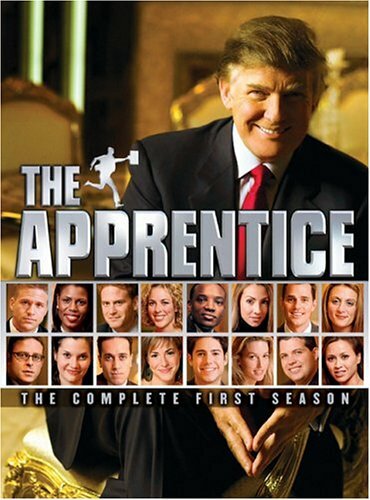 Quick Take: The Apprentice, "Rock the Catwalk"
Review: The Apprentice, "Rock the Catwalk"
(S1005) Is anyone still watching this show? The ratings and buzz say “not really.” It might be best for me to move on and focus my reviewing efforts elsewhere, but this episode looked like it contained a challenge so disastrous I couldn’t resist. For the most part, it didn’t let me down. This week, Trump tasks the minions with putting on a runway show for Rockport shoes, whose emphasis is on “walkability.” Similar to Bud Light’s “drinkability,” this completely original slogan spreads the empowering message that “You will be able to walk in these.” Sold! The women, led by Stephanie, who seems disappointingly sane, decide to give their presentation the theme of “A Day in the Life of Tristan.” You may think that they simply drew the name “Tristan” from a list of “Names for Pretentious D-bags,” but in fact it was chosen because Mahsa really likes Brad Pitt in Legends of the Fall. Makes sense to me. The men elect under-the-radar Wade as their project manager. He sends the “sylish” Steuart and Anand to shop with the models, a task which they quite enjoy, and are relatively capable at. The producers kindly subtitled Steuart saying to Anand, “I can’t believe you told them about my girlfriend!” Someone’s going to be sleeping on the couch tonight. The real drama, though, comes from David and Gene working as co-emcees for the event. This had hilarity written all over it from the start, though David was quick to point out that, “This isn’t stand-up.” Unfortunately for him, even bad stand-up comedy would have looked amazing compared to what actually happened. Gene stumbled and mumbled through the presentation, displaying a complete absence of charisma, energy, and basic reading skills. “It was like watching a horse die,” Anand said. Sick horses everywhere were outraged by this insult. Wade knew they were doomed. “Unless the women sent naked men out on stage or did something completely stupid, we’ve absolutely blown this task,” he said. Unbeknownst to him (or not, who knows with the editing), the women had basically done just that, sending their models out in their boxer-briefs for their grand finale. It wasn’t clear whether Trump and his assistants approved of this stunt, but it didn’t matter. Gene and David’s failure resulted in Brandy, the women’s emcee, being wildly overpraised for her competent performance on the microphone. I think Donald might hire her just to introduce him at events. In the boardroom, Trump quickly dismissed the ladies after announcing their victory, in order to give him ample time to berate the men for their failure. And boy, was he fired up. Gene got reamed for being the worst emcee of all time. Wade took heat for not realizing how terrible Gene was. David took some criticism as well, but he managed to not be the biggest disaster this week. Ever the good soldier, Gene took ownership for his performance saying, “If you want to fire me, go right ahead!” Not missing a beat, Trump promptly did just that, and I couldn’t suppress a laugh. He wasn’t done though, as Wade immediately got the axe as well. No Trump kids tonight, or even trusty George. Instead we got a couple of generic head-hunters. I wasn’t a fan. More Ivanka please. Trump’s anger, while entertaining, seemed a little bit much. I think he was personally embarrassed for being associated with the men’s production. David starts off his prep with Gene my making racial jokes, groundlessly accuses Steuart of harassing women, and simply ducks off stage when Gene starts floundering. This guy is a train wreck, and it looks like it might come crashing down next week. The biggest criticism of the women was that one model who wore shorts had scabs on his legs. I think the bigger issue should have been that said model was wearing a shirt and tie with shorts. Do people actually do this? Maybe my Midwestern sense of fashion is a little out of touch, but that looked silly all around. If you’re one of the dozens of people still watching this show, what did you think? Hit up the comments below! Video: The Apprentice, "Rock the Catwalk"
Adam, I'm definitely still watching! This episode was a good example of how Trump can go after "regular" cast members in a way he can never do with the celebs -- which, quite frankly -- makes the show work, as we're dealing with guys and gals who really do want to win. And it works even better when Trump is on point with firings, as he was this week. In fact, as soon as the two proj managers were selected early on, I said out loud, "The guys are going to get demolished."